'Better. Stronger. 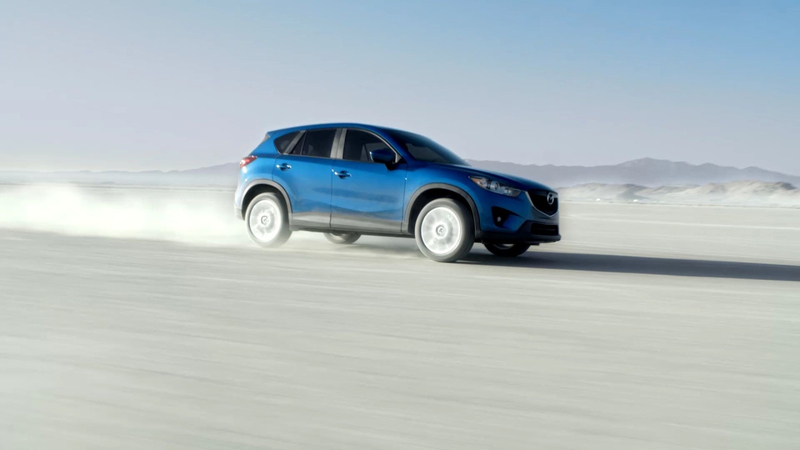 Smarter' Mazda CX-5 campaign features some great traction in this Garage Team Mazda spot directed by Filip Engstrom. Produced by Smuggler with VFX by The Mill L.A. The Mazda spot was a true first for the LA team in involving every single department in the Culver City studio. Telecine, 2D, 3D, Design, and Smoke teams had to work closely to produce a polished final piece reflecting both the brand parameters and stealth driving action. Close collaboration between director, agency and The Mill produced a great product and a spot that is really 'zoom-zoom'!